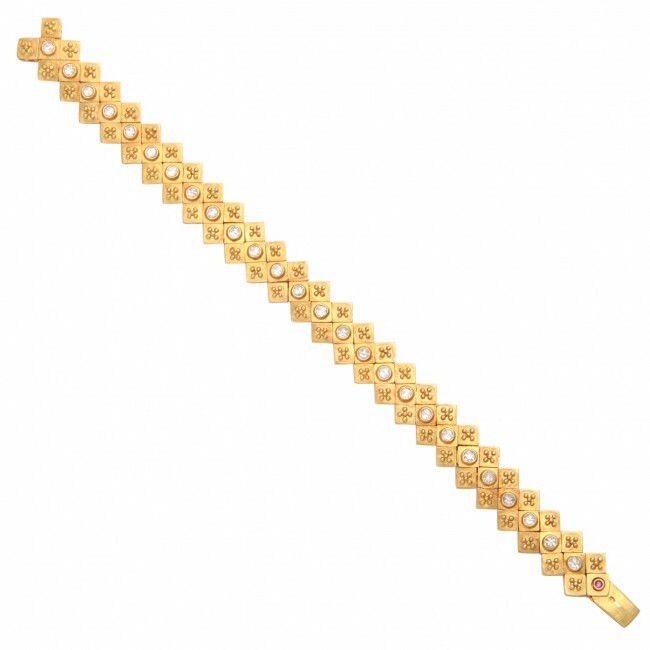 An 18kt yellow gold and diamond bracelet. The bracelet is composed of 18kt yellow gold beaded links with bezel set diamonds down the center. Total diamond weight: 2.08cts.